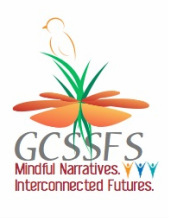 This site promotes the orientation, activities, resources and projects of the Centre for the Study of Sustainable Futures and Spirituality (GCSSFS). The Centre is supported in the area of content generation, project execution, design and general administration by Public Media Agency (PMA), Petaling Jaya, Malaysia under the direct care of one of their creative consultants, Dr. M. Nadarajah (Nat). Nat works as consultant on different projects. He supports PMA on its various projects supporting social causes. Nat is presently engaged with Xavier University@Bhubaneshwar, India, with it School of Sustainability. He works with Loyola College@Chennai, India on issues related sustainability and spirituality. He is associated with the Centre for Diaspora Studies@MSU, Tirunelveli, India. He continues to support Pesticide Action Network Asia and the Pacific (PAN AP), which is based in Penang, Malaysia, as consultant on a project to set up a 'blended' institution, International People's Agroecology Multiversity (IPAM), to promote agroecology across Asia and the Pacific. He is also a member of the Asian Public Intellectual (API) community.